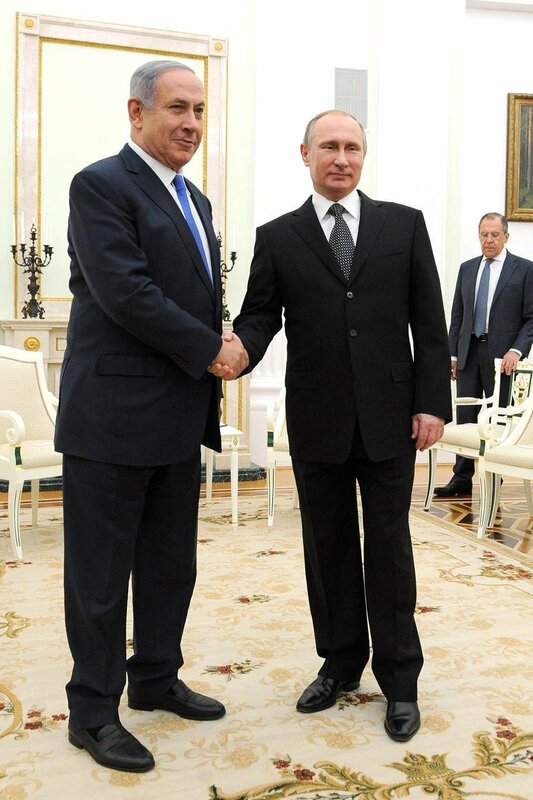 Russian President Vladimir Putin meets with Israeli Prime Minister Benjamin Netanyahu at the Kremlin on June 7. Russia may take part in an artificial island project near the coast of the Gaza Strip, Israeli Transport Minister Israel Katz said. "Russia is a leading country capable of participating in this project. It possesses relevant experience and knowledge of Middle East developments and maintains good contacts with regional countries," the ministry press service quoted Katz as saying on June 23. The minister, who is promoting the project, said the artificial island will be built 4 miles from the shore and will be connected to the Gaza Strip by a bridge carrying a checkpoint. Katz, who is also the intelligence minister, said the island would accommodate a seawater desalination station, a power plant, a seaport and, in a later period, an airport. The island's security will be ensured at an international level for a hundred years, Israel will retain maritime control, and Palestinian workers will build the seaport, the airport and hotels. It is not planned to build residential areas on the island. Katz hopes for the soonest approval of the artificial island project off Gaza by the Israeli military-political administration. "Many important members of the law enforcement authorities support this idea, and I hope that a relevant decision will also be made at the political level," the minister said. The island will significantly improve life in the Gaza Strip and will become an important step towards its civil separation from Israel. "We will provide Gaza with a connection to the world by creating conditions for controlled passenger and cargo traffic, and we will ensure our security at the same time," the report quoted Katz as saying. He believes the project may also engage the Palestinian National Authority and China.